"I tied you up because I need you to listen," Derek says. "Focus." "Please... W-what do you want from me?" "The truth," he says. "About what happened the night my brother died." He reaches for my left hand. "If I think you're lying..." With his other hand, he flourishes a pair of flower cutters. Curved. Sharp. When Chris wakes up in a dark basement tied to a chair, he knows that he's trapped-and why. Eight nights ago a burglar broke into Chris' home. Eight nights ago Chris did what he had to do to protect his family. And eight nights ago a 13-year-old runaway bled to death on his kitchen floor. 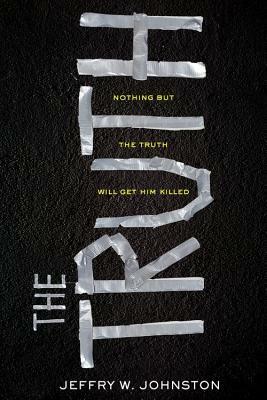 A riveting, edge-of-your-seat thriller from Edgar Award-nominated author Jeffry W. Johnston that explores the gray area between what is right and what we'll do to protect the people we love.